This large lightweight canvas topstitched tote with a beautiful festive oil cloth lining is sure to bring a smile to your face every time you open it. 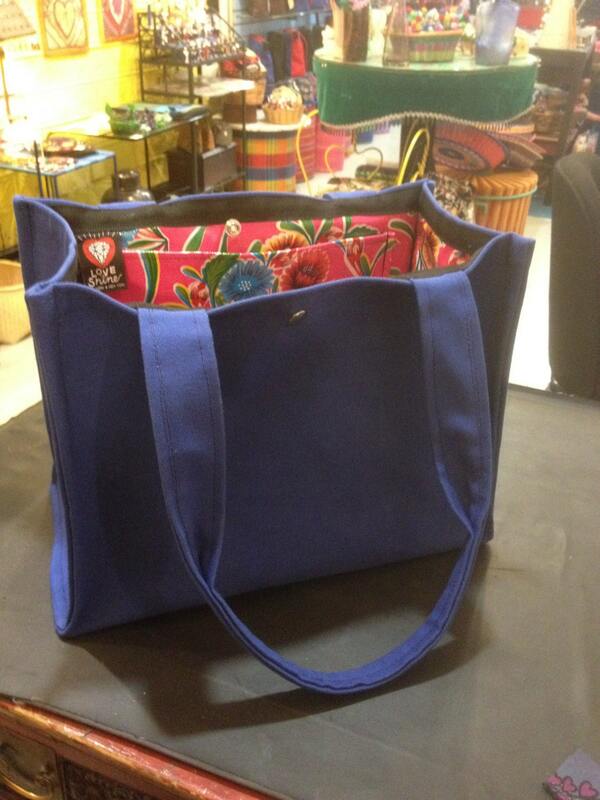 The exterior is a chic structured canvas tote design while the interior is colorful, floral, festive, and waterproof. This is a structured bag design so it won't collapse shape when you put it down. 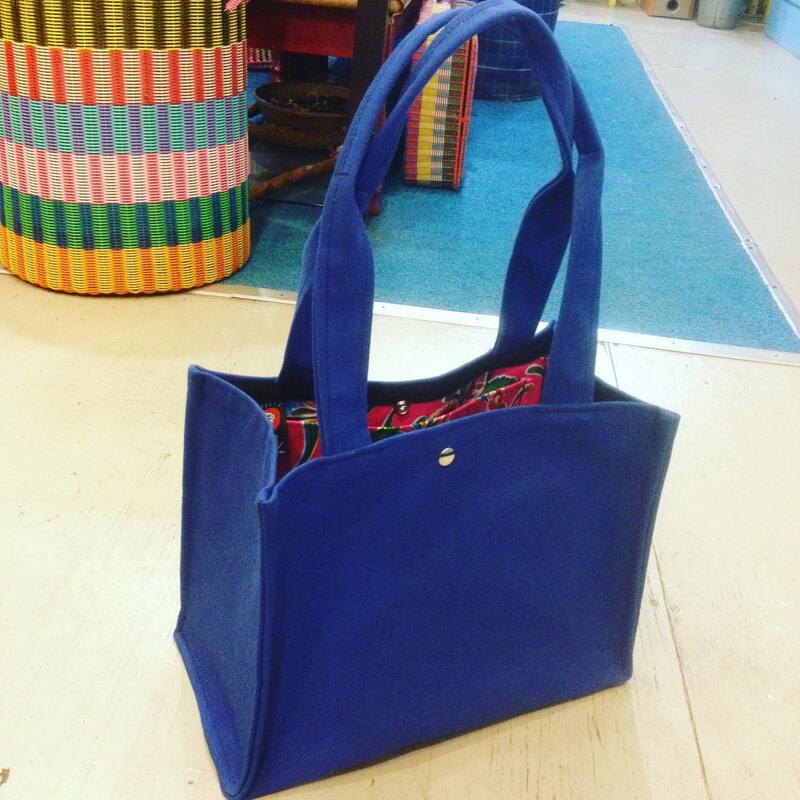 Perfect for almost everything, our topstitch tote has one large interior pocket and a snap closure. The water repellant canvas and water proof oil cloth lining makes this bag a great alternative for a simple diaper bag. 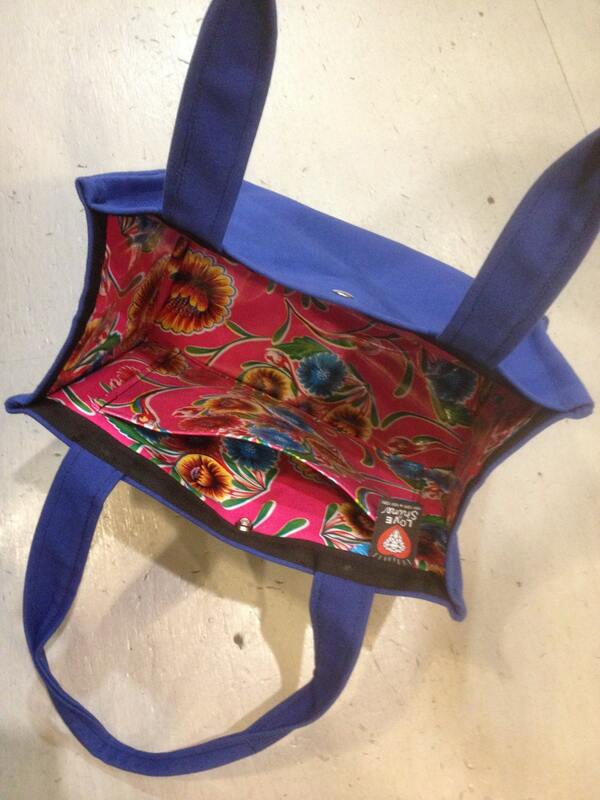 We can make this bag in black, red, or blue canvas exterior. Please feel free to convo if you would like to see other oil cloth patterns that we have in stock for the interior.